Popular theatre troupe Shunnon repartory will stage its much acclaimed production Lal Jamin’s 200th show tomorrow evening at Bangladesh Airlines Training Centre (BATC) auditorium in the capital. Scripted by noted theatre personality Mannan Hira, the play ‘Lal Jamin’ depicts the story of a girl barely fourteen. The girl wanders around her village falling in love with the beauty of it all, quiet oblivious to the world outside that boundary of the hazel pond that confines her love, the blood-red water lilies. Her illusion of the beautiful world shatters when one night she hears the whispered conversation between her parents - whispers of war, destruction, pain and blood. Freedom – this one word sticks to the naive young girl’s conscience. In the meantime, she falls in love with a shadow of a young and strong man. But, she falls into the dilemma whether to respond to her true feelings. Her father leaves her to be a freedom fighter without her consent, but her age doesn’t allow her to fight, to be a freedom fighter. But, she sets sails with bravery in the heart following that shadow-man as her true commander. Momena Chowdhury plays the central character of the play. 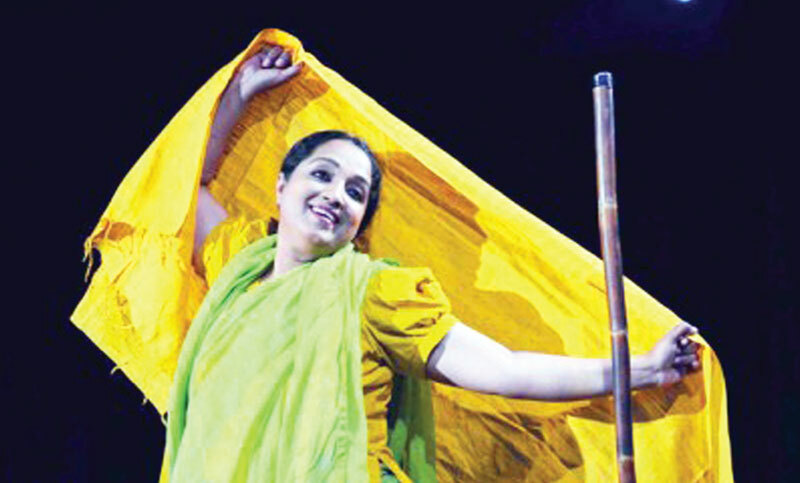 In 1990, she started working at ‘Aranyak Natyadal’, one of the leading theatre groups of Bangladesh. She performed in many famous production of ‘Aranyak Natyadal’. She also had performed in many dramas at home and abroad. It may be mentioned that, Lal Jamin is the first production of Shunnon repartory theatre troupe. The play premiered on May 19, 2011 at Dhaka University’s Natmandal and has since been staged at various locations in the country and abroad.